This dish is part of the group of Caribbean dishes that make up our collection of Soul Food. 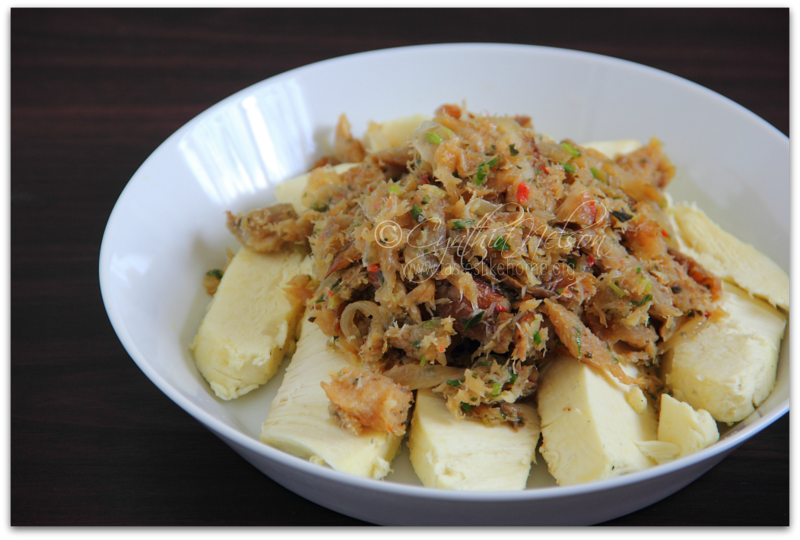 Here, I have used smoked fish from Guyana but you can replace it with any type of salted fish. 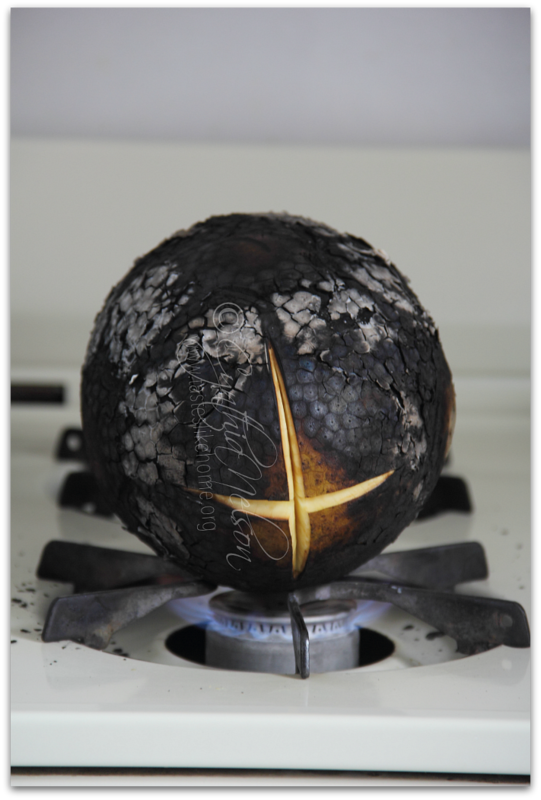 There's no recipe really - to roast the Breadfruit, make a couple of incisions and remove the stem of the breadfruit, score the bottom and set it to roast stem-side down for 10 minutes and then turn it on its sides for 6 minutes each then place it score-side down and roast for 8 minutes. Remove and let cool to handle and remove bark. For the "Fried" Smoked Fish - soak in tap water for 16 - 18 hours, changing the water 2 to 3 times, drain well and flake fish. Pat dry and sauté with onions, garlic and hot peppers, finish with sliced scallions. 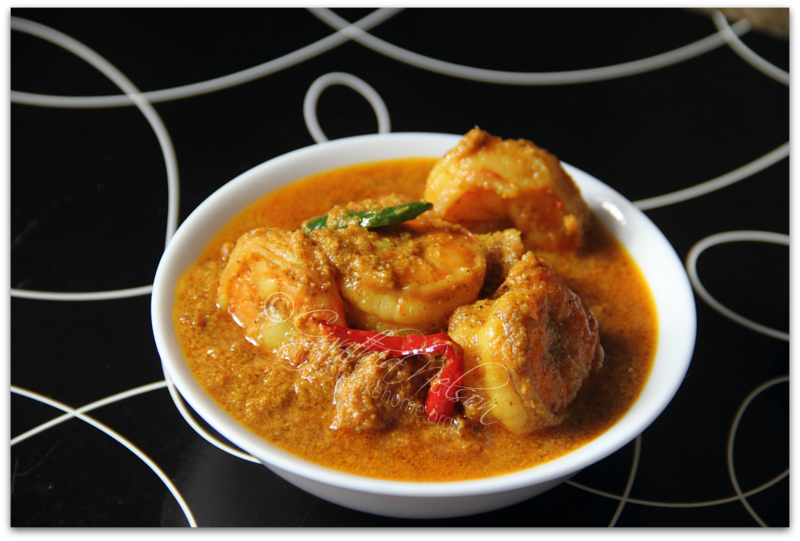 This Coconut Shrimp Curry is like none you have ever had, unless you have made a similar curry before. The masala for the curry is made with fresh grated coconut along with ginger, garlic, sweet onions, hot pepper and a few other ingredients. The tang of tamarind will have you going back for more. Give this recipe a try and you will find yourself making it often. Fish can work for this curry too. Click here for the recipe. 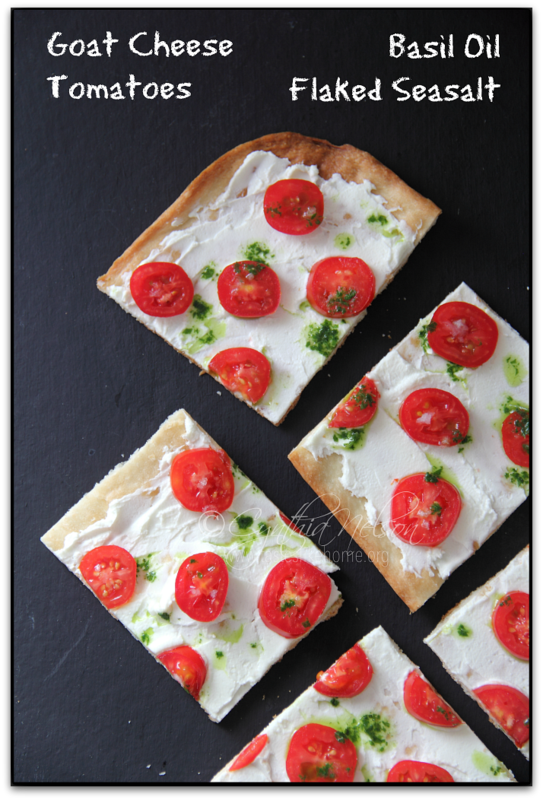 This flatbread is perfect for 2 people. Or, 1 person, if it is all you will be eating for your meal. 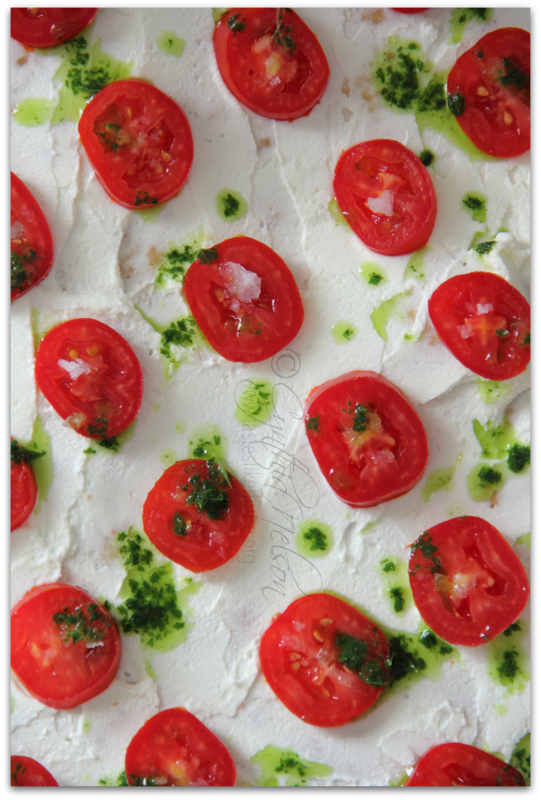 I just love this combination - crisp bread, creamy tart goat cheese, sweet tomatoes, herby fragrant basil with the crush flaked sea salt. It's really very good. Click here for the recipe.